The official Play Nintendo website has put up a poll to find out which video game character fans would love to give a Valentine to this Valentine’s Day. The poll features characters such as Mario, Luigi, Pikachu, Isabelle, Link, and Kirby, all of which are Nintendo’s most recognizable and notable characters. While you would probably expect someone like Peach or Isabelle winning the poll, that is exactly not the case. 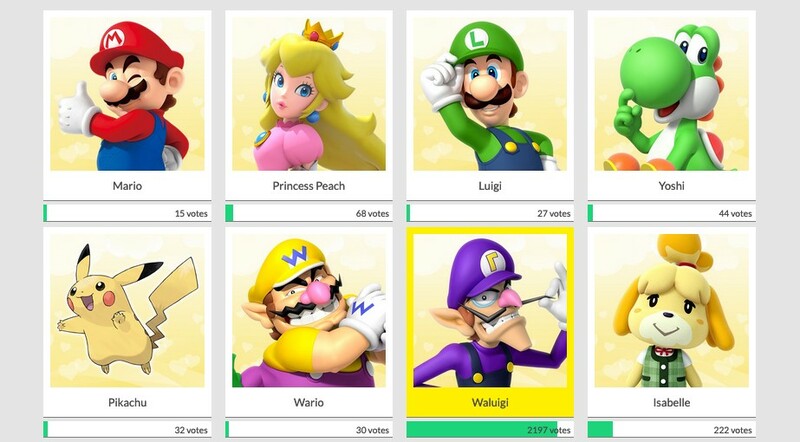 This is because Waluigi has won the poll by a staggering 2197 votes – that’s ten times more than Isabelle, who is in second place. 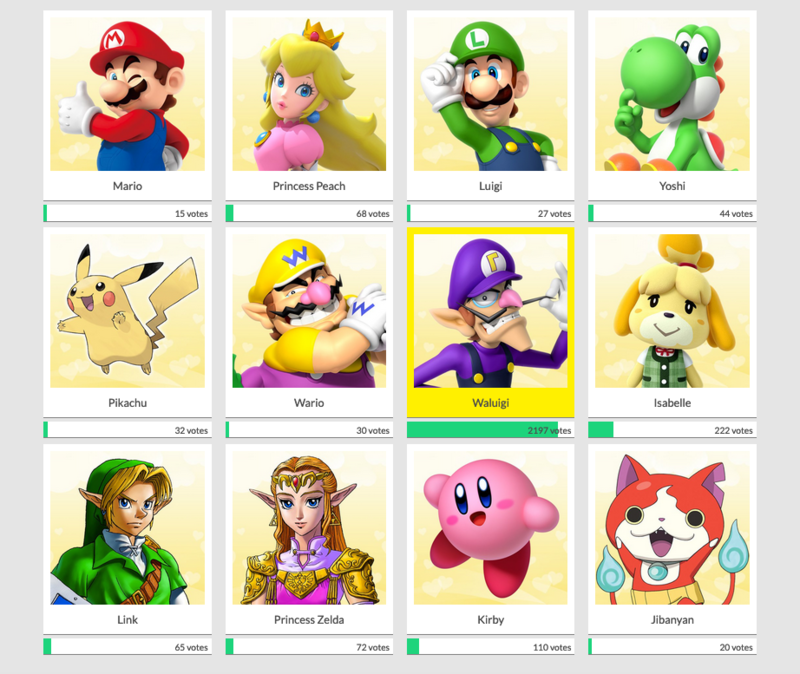 Looks like Waluigi fans continue to remain very eager in telling Nintendo they want Waluigi in Super Smash Bros. Ultimate, no matter what it takes. What do you think? If you’re interested, participate in the poll here.